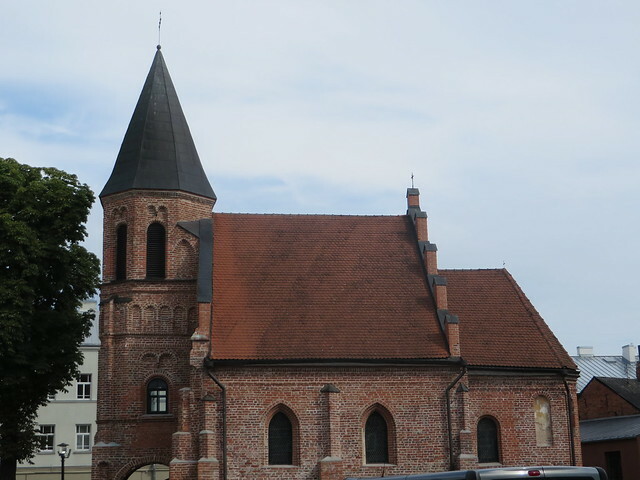 Our third day of the road trip in Lithuania had as a final destination the Baltic Sea. 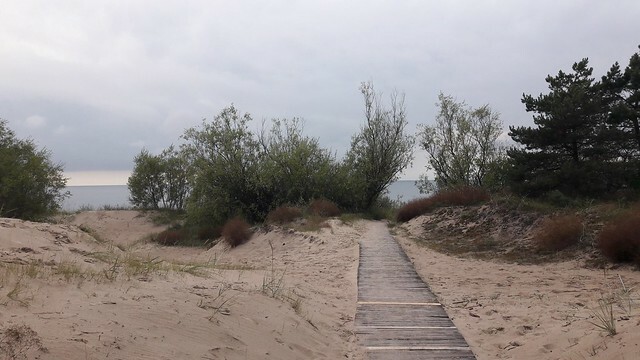 We were hoping to have a good weather and do some swimming and relax on the beach, but we had a rather cranky day, with clouds, a bit of rain on the way and some quite heavy wind when we finally got to Palanga in the afternoon. 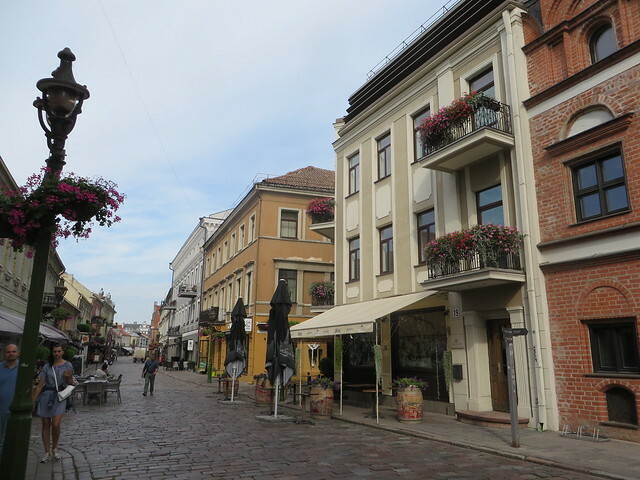 Since we had arrived quite late in the evening in Kaunas, we didn’t get the chance to check out the city the previous day and let this activity for our third day. 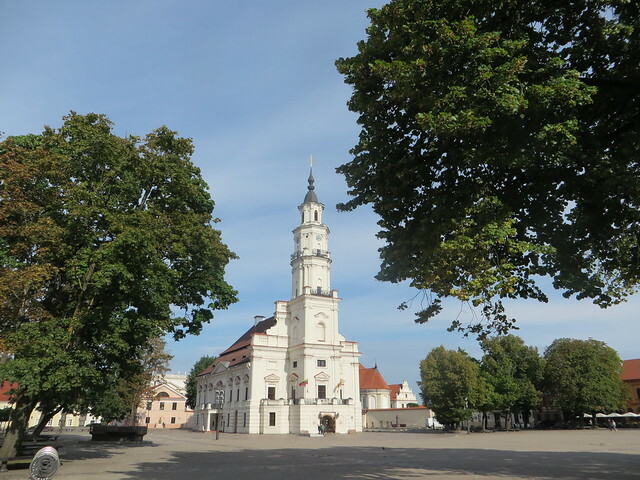 Kaunas is the second-largest city in Lithuania and the historical center of Lithuanian economic, academic, and cultural life. 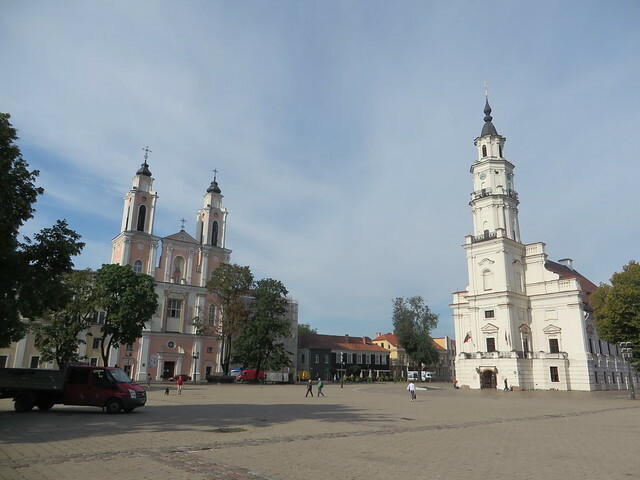 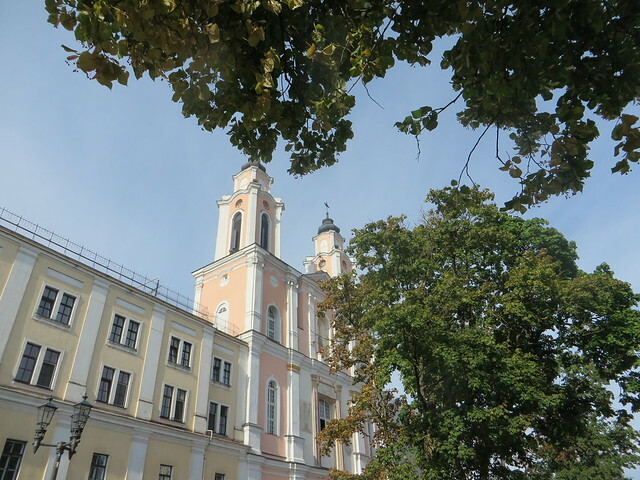 It is a well known university center and in the recent years it has started to become more and more popular for tourists who want to explore more than Vilnius. 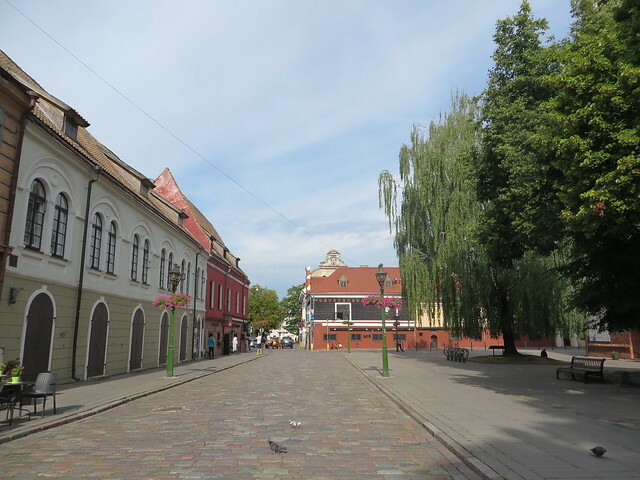 Although we only spent a few hours wondering on the streets of Kaunas, I left this place feeling that we should have allocated it a bit more time. 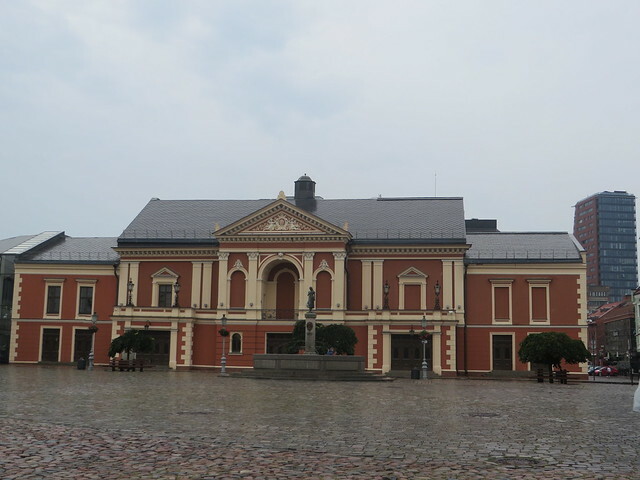 The city center is quite nice to have a walk, especially as we did, in the early hours of the morning. 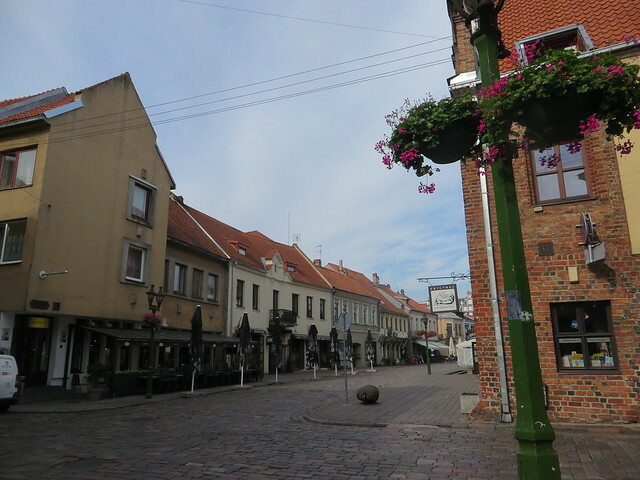 The main pedestrian street is full of cafes, bars and restaurants which I’m sure come to life later in the day and people show up to enjoy the lively atmosphere. 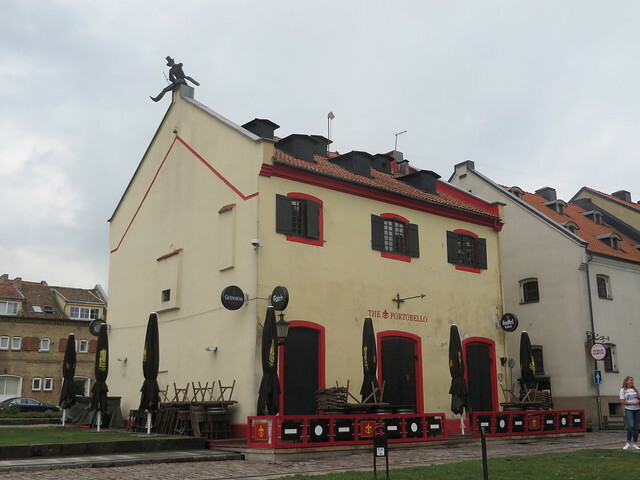 For a nice view over the city, a trip with the Žaliakalnis is a must. 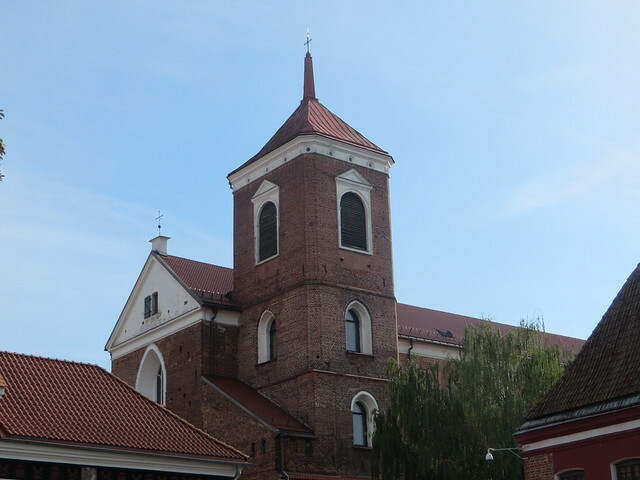 We found it under renovation when we got there, but still we could drive up the hill and enjoy the panoramic view. 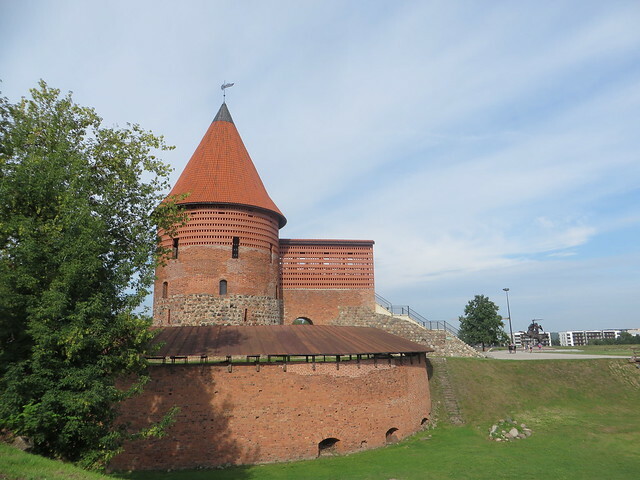 The Kaunas Castle is also to be checked while in town. 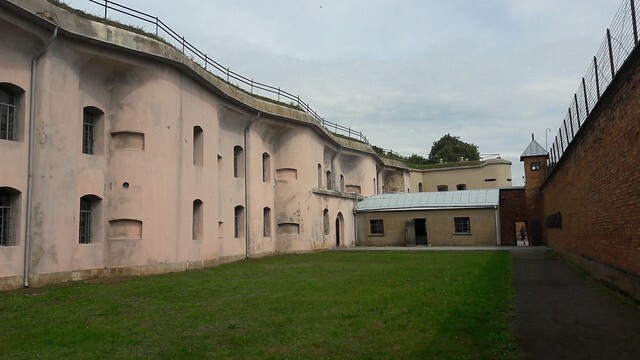 Although just a ruin now, it’s a nice place for a walk around. 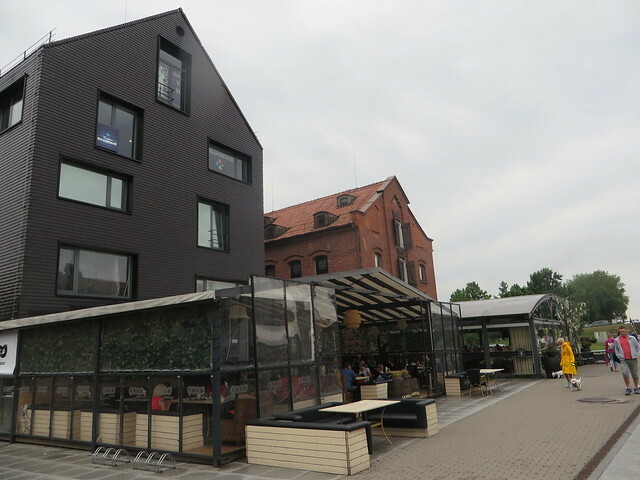 While in Kaunas, we chose Kaunas Camp Inn to spend the night. 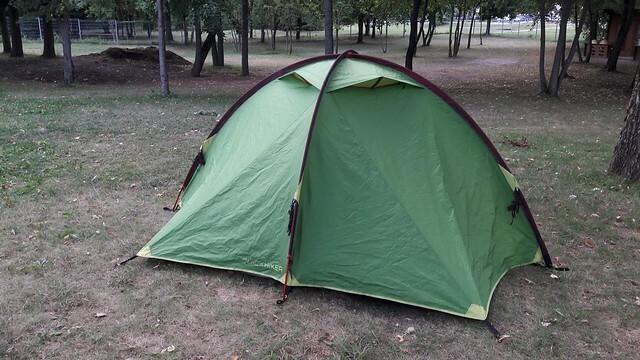 It’s just outside the city, with a bus stop just in front of it, so easy to reach the city. 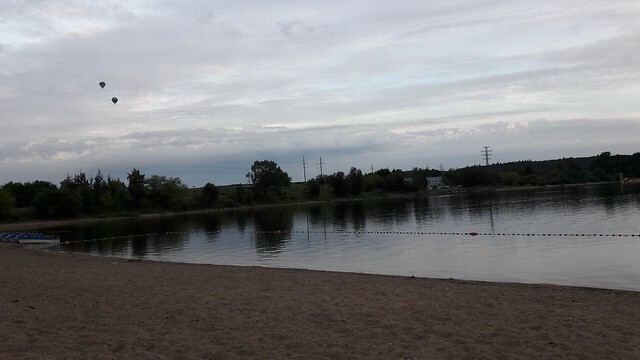 It’s on the bank of the Lampedis Lake, with a nice beach and all sorts of nautical sports to practice while there. 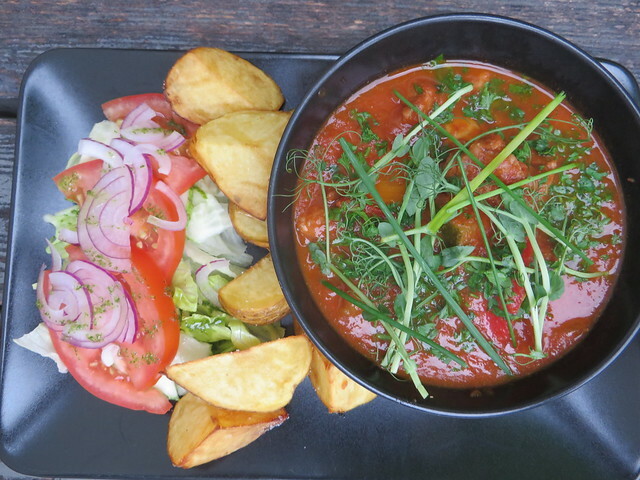 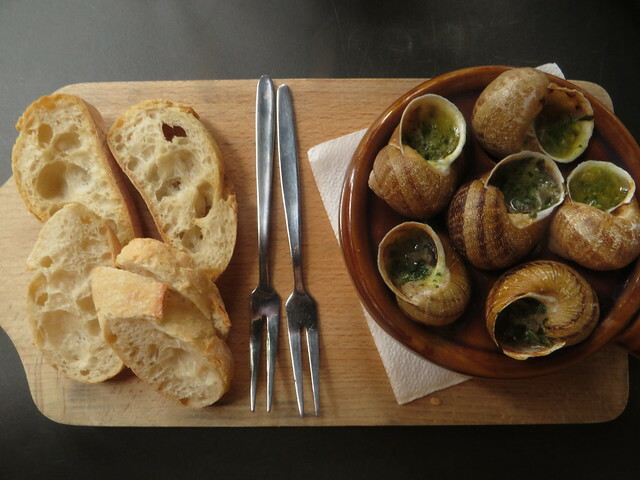 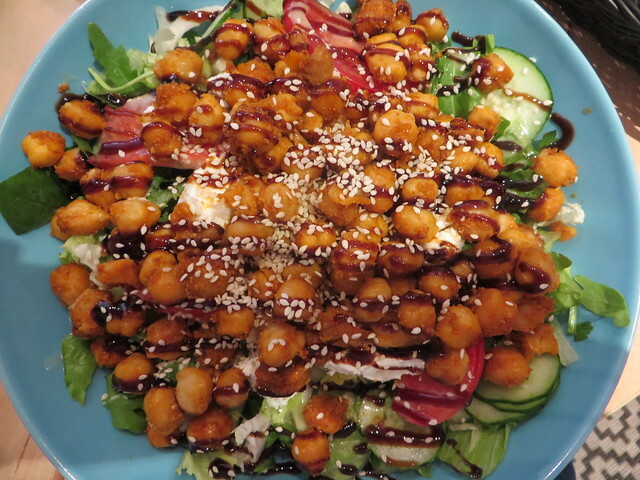 Eat at Vista Puode, a very nice restaurant having seasonal dishes cooked with as much as possible local ingredients and Zalia Pupa, a very nice vegan bistro with a daily menu, open only between 11 AM and 5 PM. 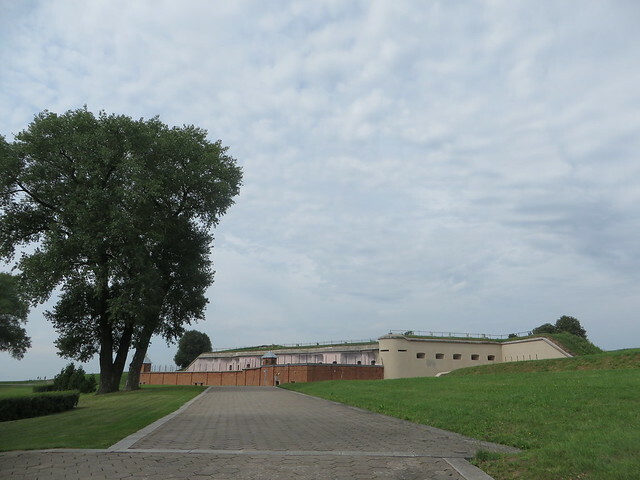 Just outside Kaunas is the Fort IX Museum and a must see for someone who is interested in the recent history of the country and of Europe. 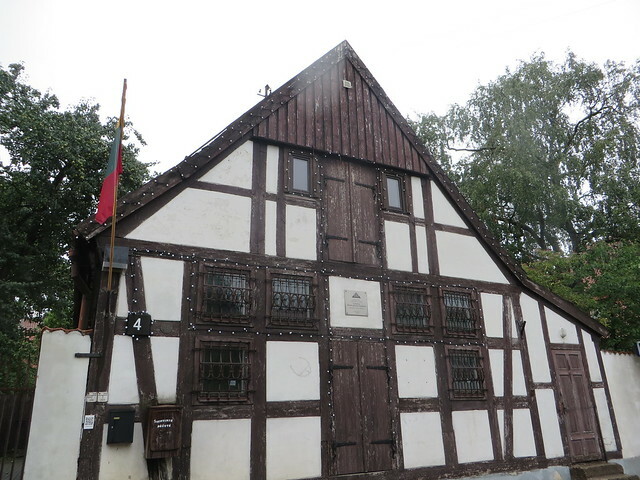 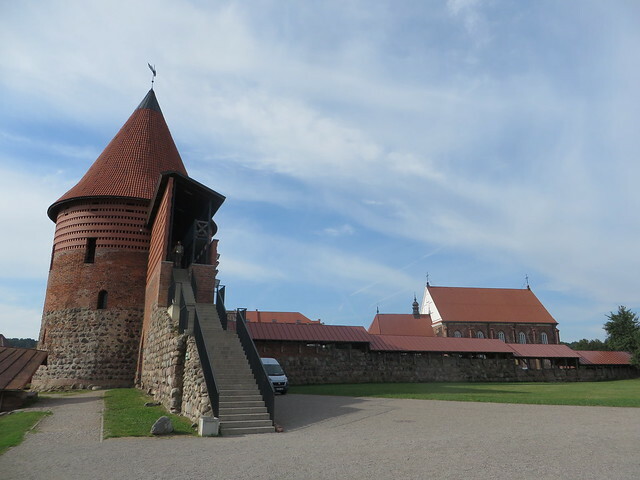 As it was on our way to the Baltic Sea, we stopped here for a couple of hours to check it out. 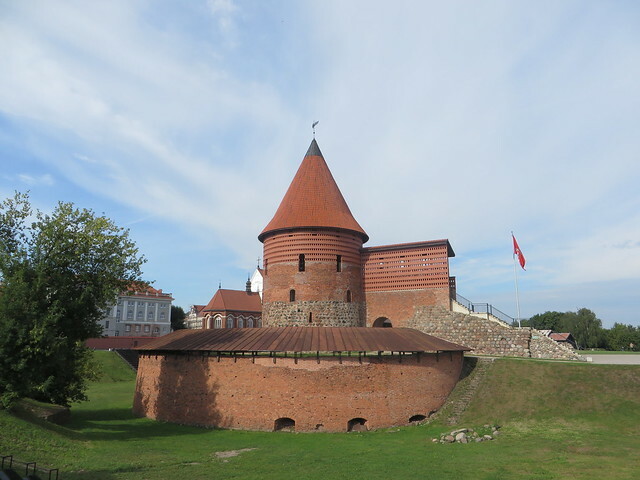 Fort IX is a part of the Kaunas Fortress, which was constructed in the late 19th century. 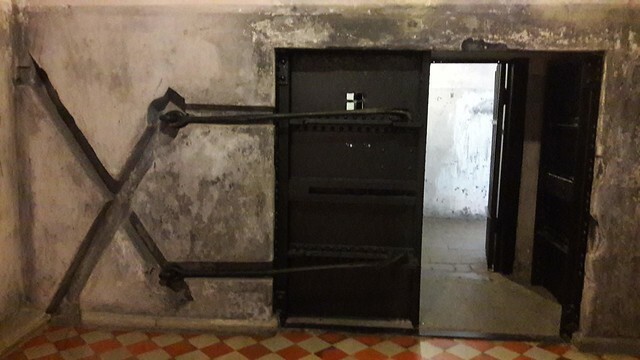 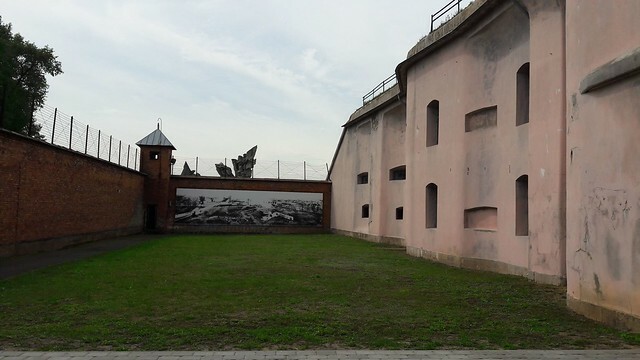 During the occupation of Kaunas and the rest of Lithuania by the Soviet Union, the fort was used as a prison and way-station for prisoners being transported to labor camps. 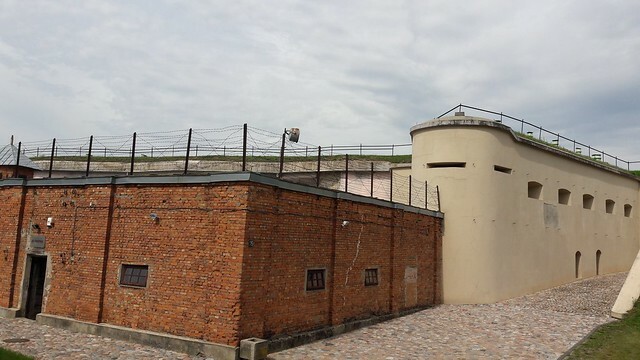 After the occupation of Lithuania by Nazi Germany, the fort was used as a place of execution for Jews, captured Soviets, and others. 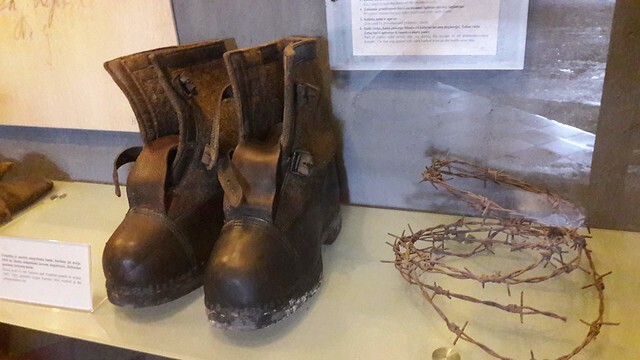 The fort is now a museum, remembering all the stages that the building has gone through during time, including historical artifacts related both to Soviet atrocities and the Nazi genocide, as well as materials related to the earlier history of Kaunas and Ninth Fort. 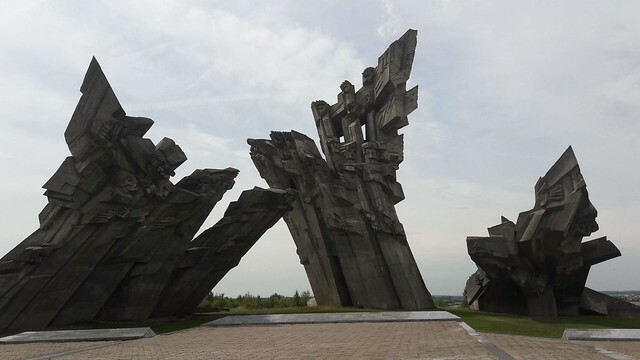 Right next to the Fort stands a 32 meters tall memorial, in remembrance of the 45 000 Jews who were murdered here during the Holocaust and sits on the site of a mass grave. 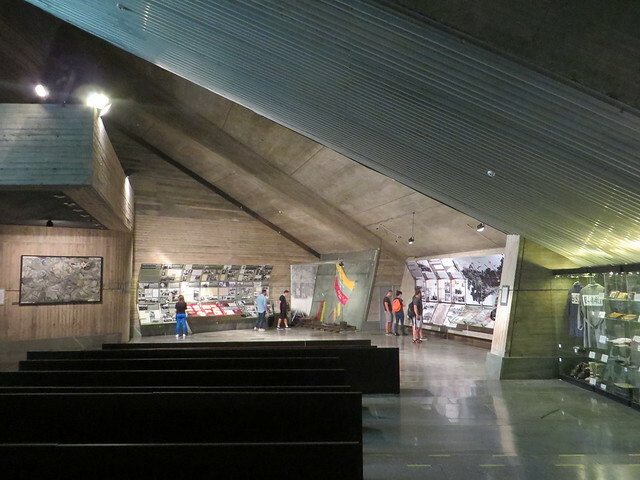 The museum is open daily between 10 AM and 6 PM, more details HERE. 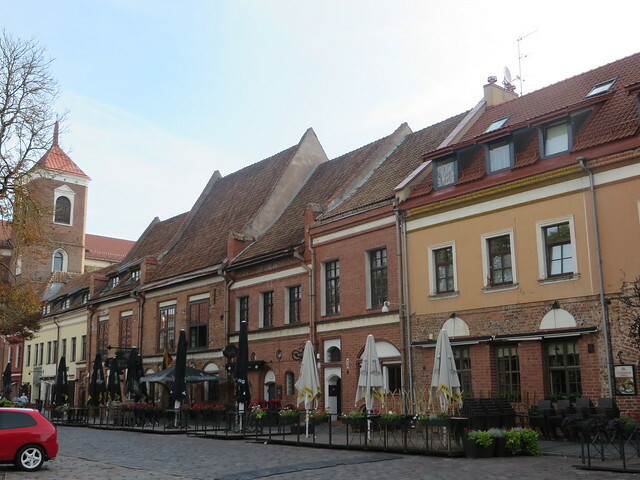 We got to Klaipeda on our way to the Baltic Sea from Kaunas and stopped here for a couple of hours to walk around the city and have a quick dinner before heading to our final destination for the day – Palanga. 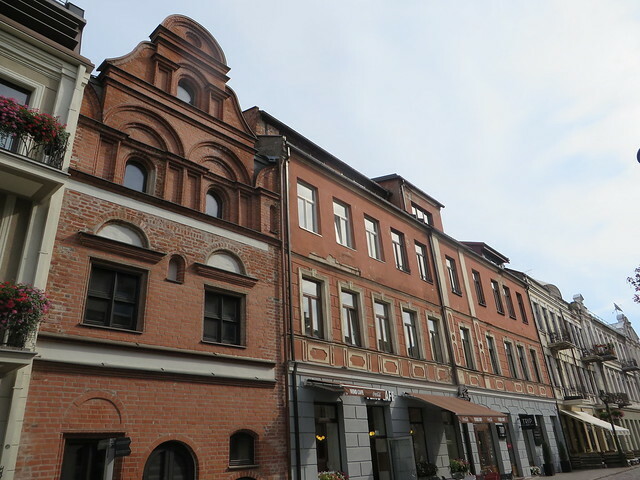 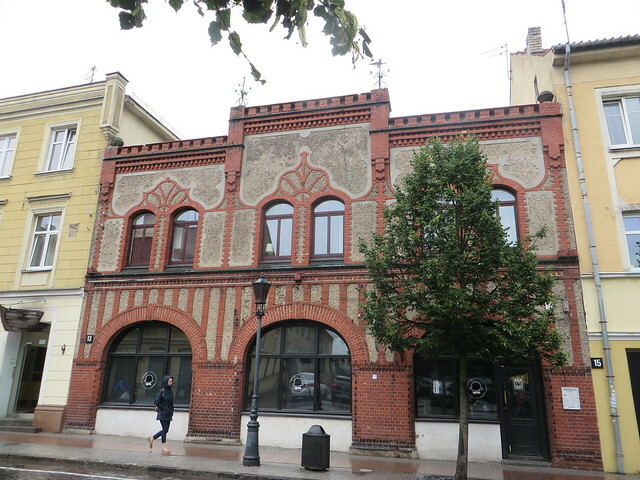 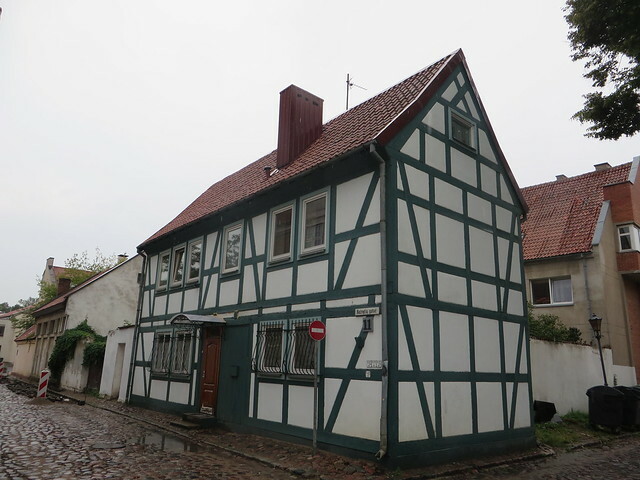 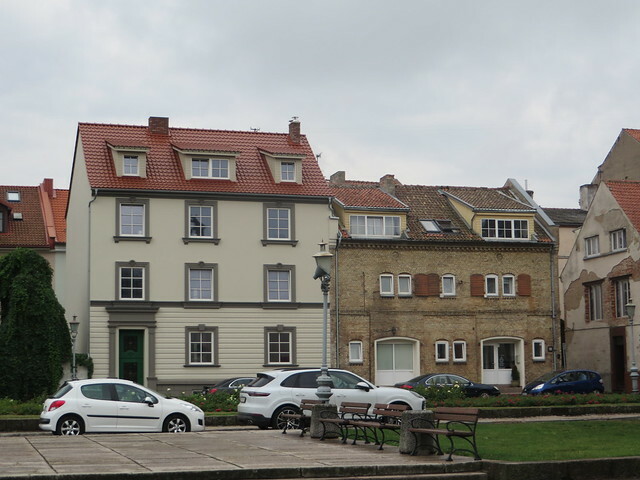 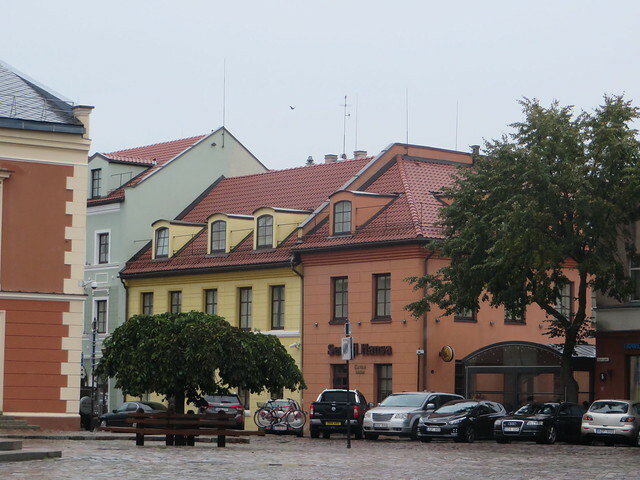 Being the third city in Lithuania, Klaipeda was for a long time under German occupation (which is also why you find some German houses architecture around), before finally getting back to Lithuania in 1923. 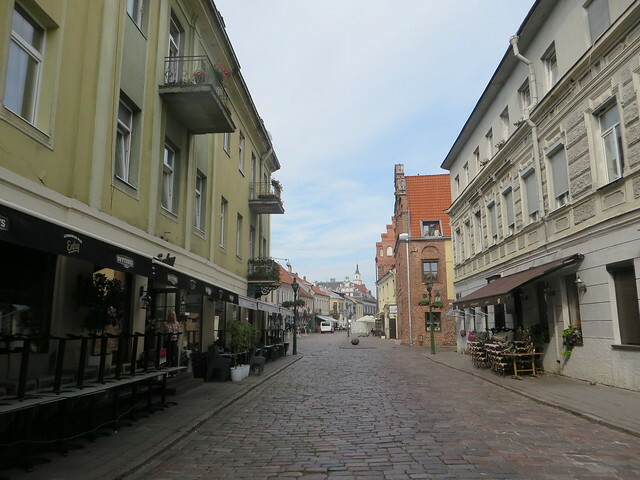 Walking around the city is nice on a sunny day (not on a rainy and cloudy day like we had the luck to find), especially going to the port area. 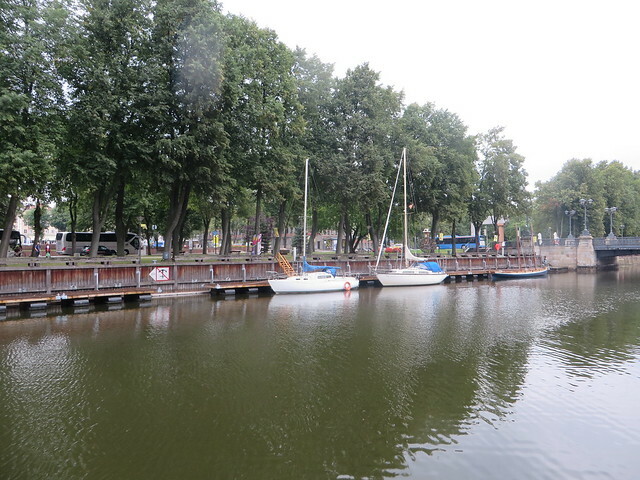 I think we were expecting a bit more from Klaipeda, but the reality was a bit different from what we imagined. 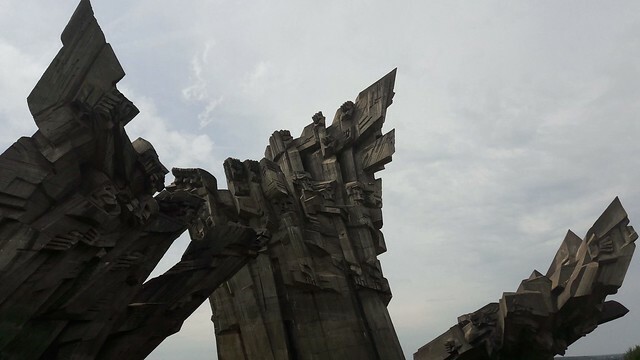 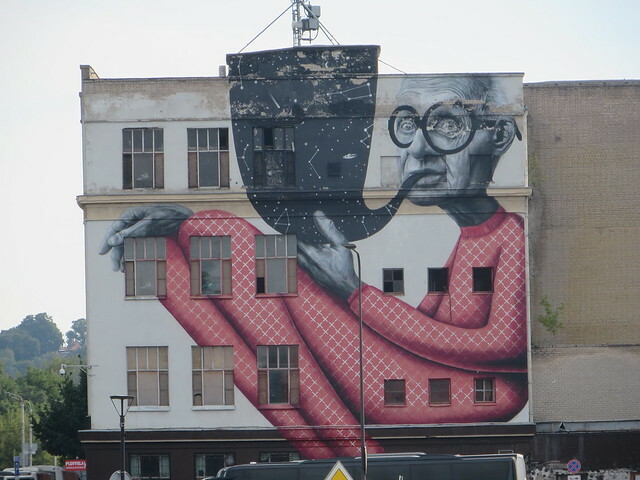 Don’t expect something too extraordinary, it’s rather a city with a socialist attitude and architecture, which for us, was nothing too interesting. 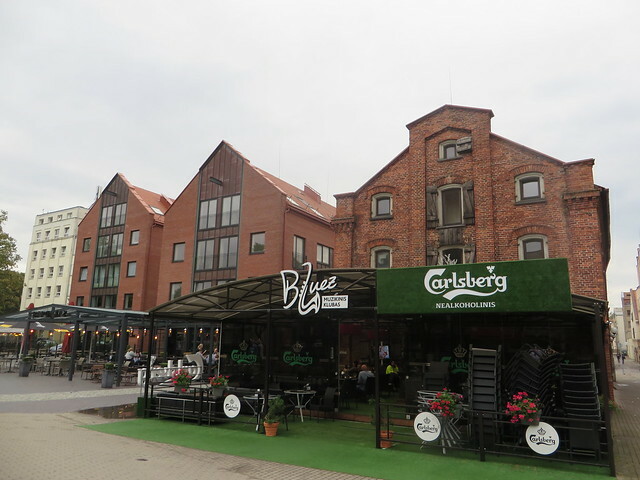 The area around the Danes river is cool to explore in the evening and at night as they have quite a lot of restaurants and bars to chose from. 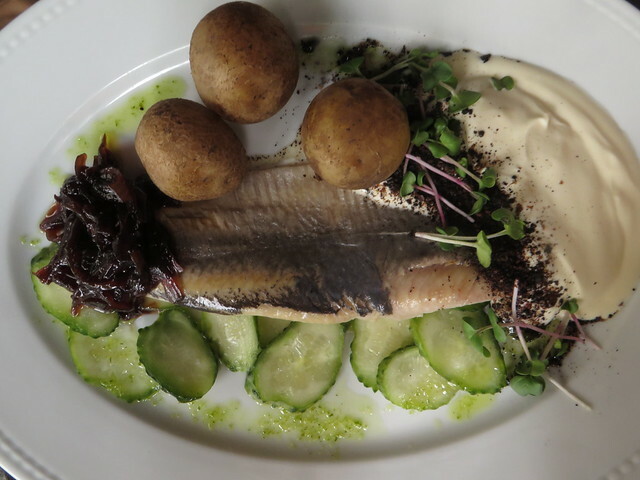 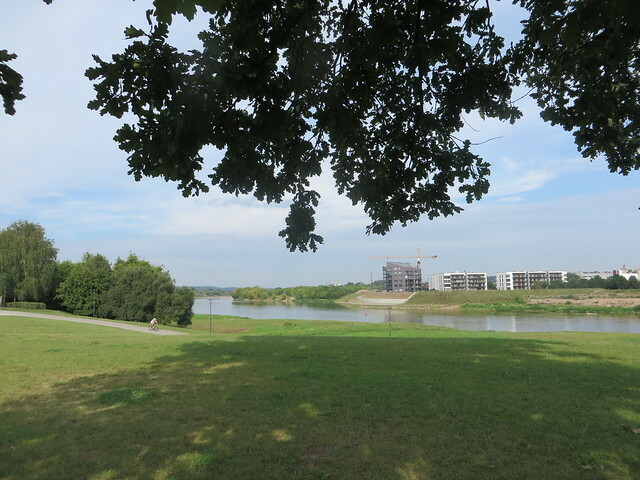 We went for a more unknown place, called Herkus Kantas, with a nice view to the river, a small daily menu and some local craft beers. 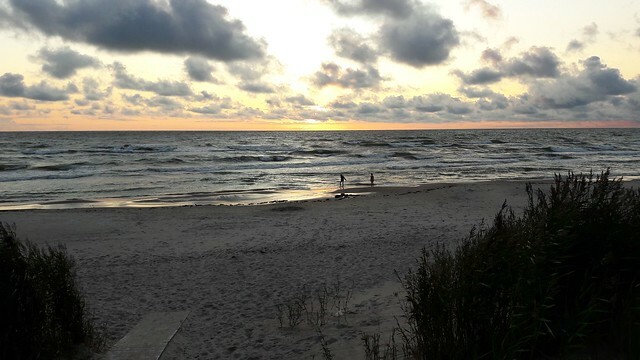 Our third day of the trip ended somewhere at dusk at Camping At the Sea in Palanga. 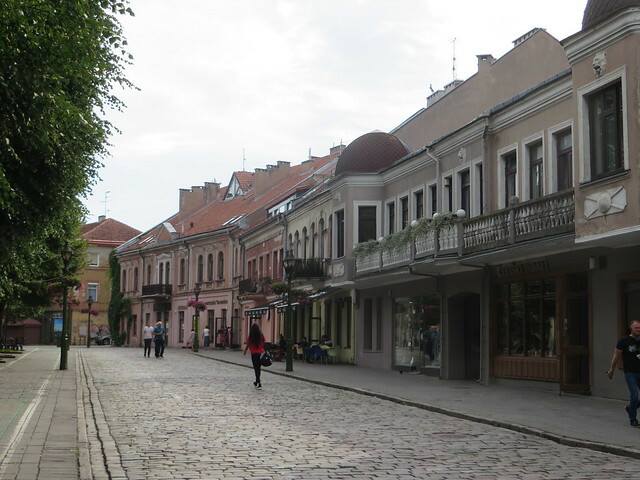 Palanga is a sea side resort, with lots of villas and small guest houses. 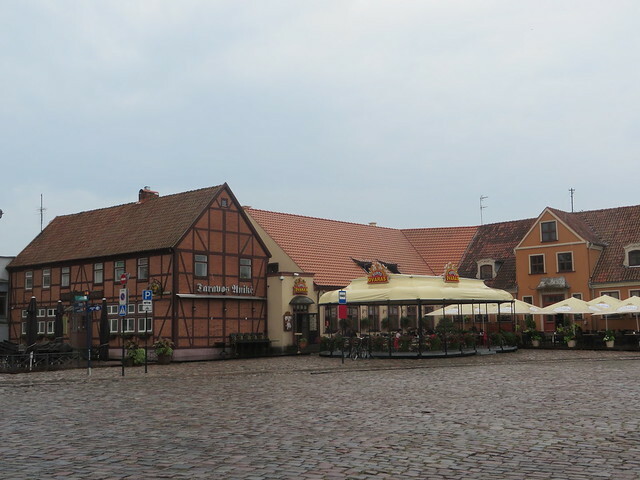 I would guess that on a warmer weather there are more tourists around, but this time, although it was August, we didn’t find to many people around. 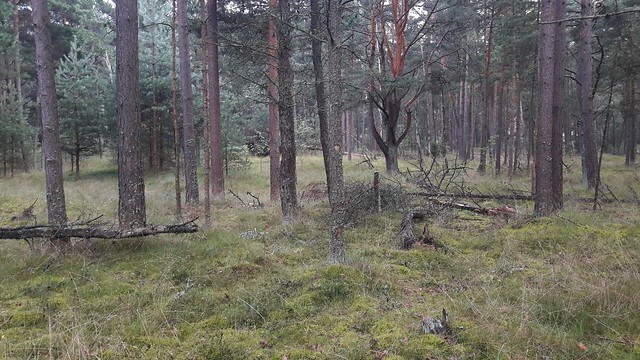 The way to the beach from our camp site is via a path through a beautiful pine forest. 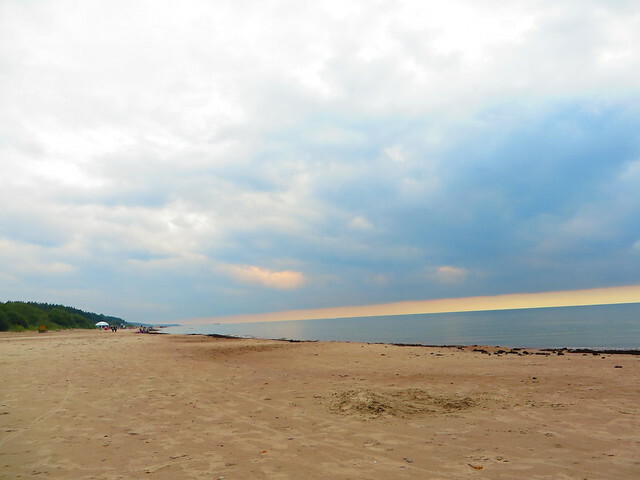 The beach is quite big and it was so relaxing to enjoy the view with almost no one around. 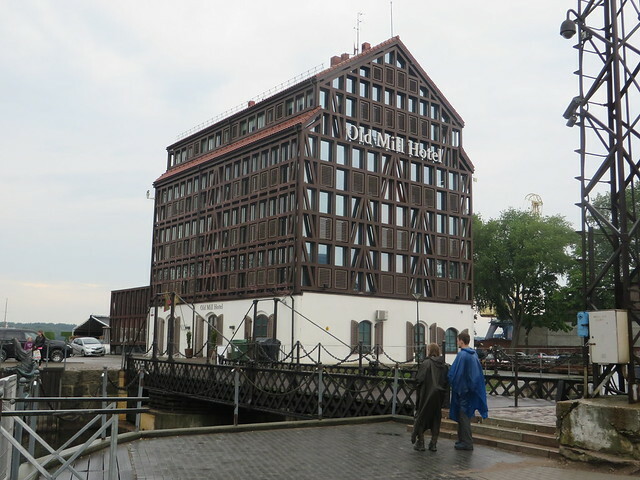 The next day, we did take a bath in the Baltic Sea. 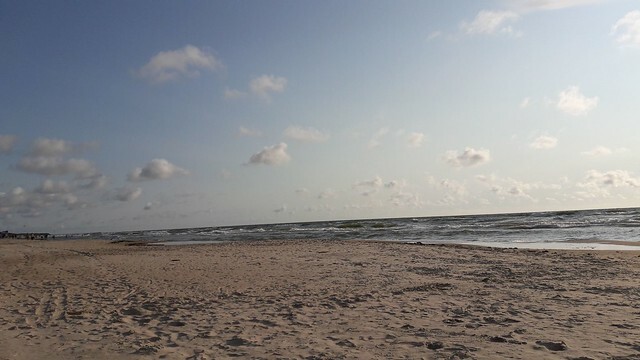 Although the outside temperature was only somewhere around 22 degrees, the sea water was quite warm and nice for a swim. 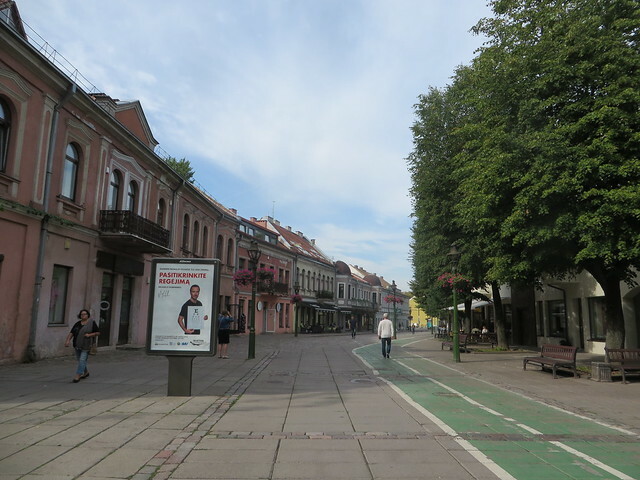 The area is quite savage, I would say, with lots of forests around the coast line, where people go for hikes and for biking trips.